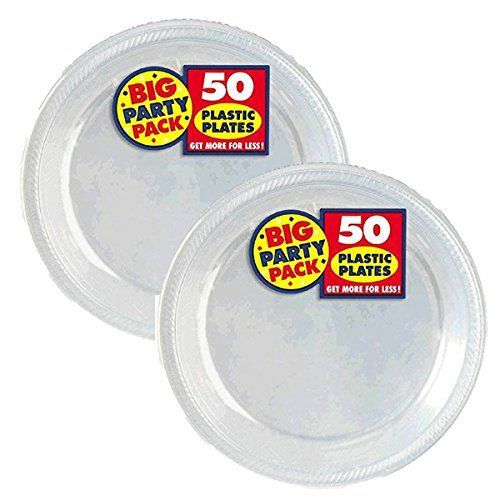 Am scan-Big party pack clear plastic lunch/dinner plates. Amscan’s big party collection of plates are for the no-nonsense party thrower! this package contains hundred 10.5 Inch plastic plates. Made in USA. Don’t disappoint We used them on gold chargers for a funeral dinner of 80, and the family were thrilled at how beautiful everything looked.